Crimson Snow brings together a dozen vintage crime stories set in winter. Welcome to a world of Father Christmases behaving oddly, a famous fictional detective in a Yuletide drama, mysterious tracks in the snow, and some very unpleasant carol singers. There's no denying that the supposed season of goodwill is a time of year that lends itself to detective fiction. On a cold night, it's tempting to curl up by the fireside with a good mystery. And more than that, claustrophobic house parties, with people cooped up with long-estranged relatives, can provide plenty of motives for murder. 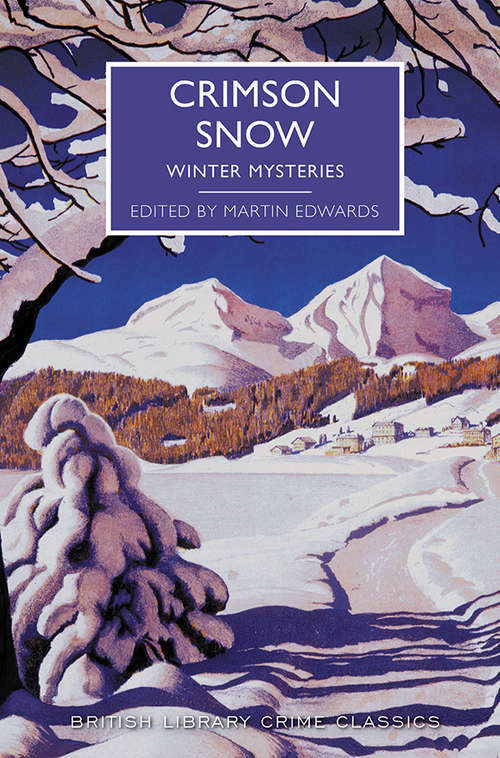 Including forgotten stories by major writers such as Margery Allingham, as well as classic tales by less familiar crime novelists, each story in this selection is introduced by the leading expert on classic crime, Martin Edwards. The resulting volume is an entertaining and atmospheric compendium of wintry delights.